There was once a time, not long ago, when the Los Angeles Clippers were synonymous with losers, disappointment, and laughing stock. How time has changed within the last three seasons. One can argue that the, once dominant, Los Angeles Lakers can now own the title of the three aforementioned adjectives. 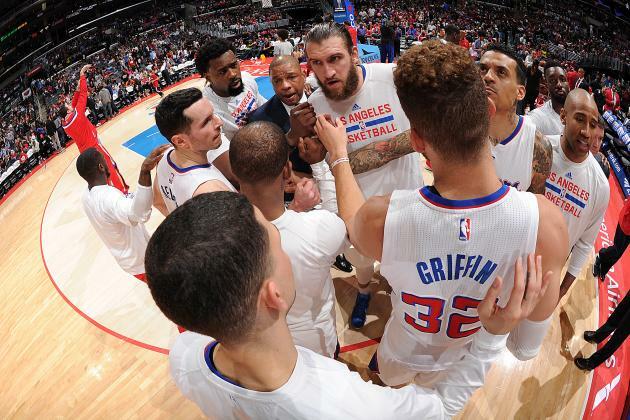 After posting consecutive division titles and consecutive trips to the second round of the playoffs, the Clippers are one win away from making their first ever trip to the Conference Finals. When assessing whether or not this team is poised to make a run at the NBA finals this year, one cannot overlook the amount of talent on this roster. Chris Paul, the floor leader and arguably best point guard in the league, has stepped up to elite status this postseason and his late game heroics in game 7 of the first round is the reason why the Clippers are in their current position. Blake Griffin has been the indisputable NBA’s best postseason performer, averaging 25.2 points, 13.3 rebounds, and 6.5 assists per game. JJ Redick has been solid, contributing 15.3 points and averaging 42.3% from the three-point line. DeAndre Jordan is leading all postseason performers, averaging 13.4 rebounds per game, however his poor free throw shooting (42%) has been his achilles heal. The one thing that the Clippers are lacking, which may hurt them during this postseason run, is the inconsistent play of their bench. The Clippers bench averaged 29th in offensive and defensive efficiency, according to hoopsstats.com, during the regular season. Though Austin Rivers and Jamal Crawford have, at times, been sparks off the bench this series, overall the bench stills ranks in the bottom two of offensive and defensive efficiency this postseason. This was exposed during game 5 against the Houston Rockets, when the bench went 10-31 (32%). That cannot happen if you want to make a run at the finals in a very talented western conference. We’ll see how hungry they are when they face Houston Thursday night in a potential series clinching game. Maybe they will prove to themselves and the rest of the world, how serious and “for real” they are.